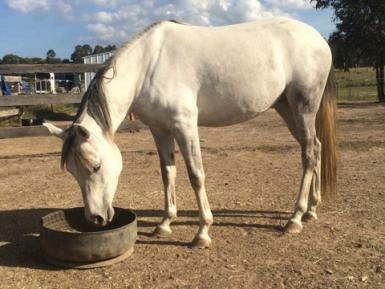 Beautiful grey pure arabian filly, takes everything in her stride and easy to teach, Always rugged, great to wash, Lunge with all gear, tie up etc, has been loaded onto a float many times easily but not yet driven around. 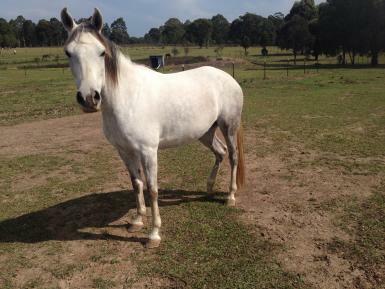 A very solid girl so would suit under saddle. 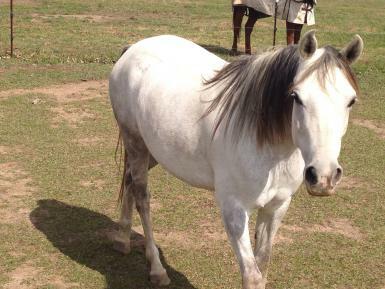 We have just brought her back into work as we were going to retain her as a future show prospect but due to lack of time and to many horses we must sell her. 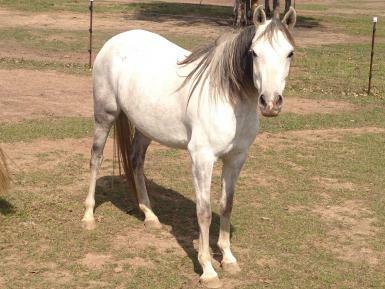 She is up to date with vac (tetanus/Strangles)micro chipped etc, By our Stallion Brindellah Shakir (S24790) and out of our old Broodmare Kevisan Park Karima (F1421) who we sadly lost a couple of years ago. her registration papers have been lodged and we are just awaiting the return of her certificate. Available to a knowledgeable home only.